Here’s a video featuring a Chinese singer unboxing the Honor 2, and then singing over the beat. It’s cringeworthy, but not as difficult to watch as this TikTok video featuring someone using two Honor Magic 2 phones as a pair of dang drumsticks. Watch as they click open and close the phone, and hit the poor, uncovered phones against a table to a beat. 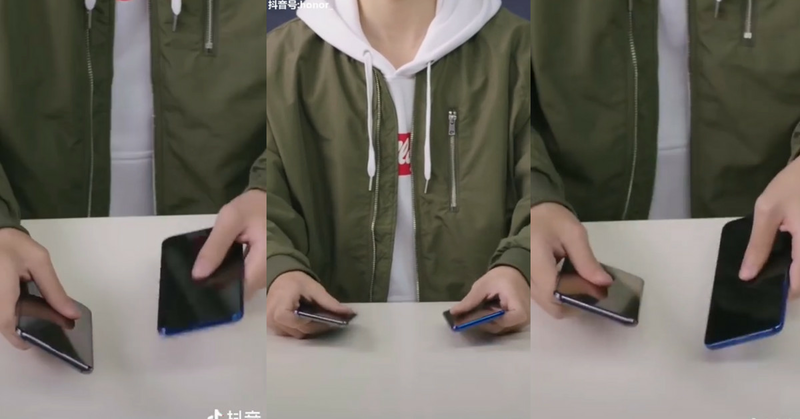 Sliding camera mechanisms have been gaining popularity among Chinese phones like Oppo’s Find X and Vivo’s Nex. We’ll know more about the Magic 2 when Honor launches the phone in China on October 31st.